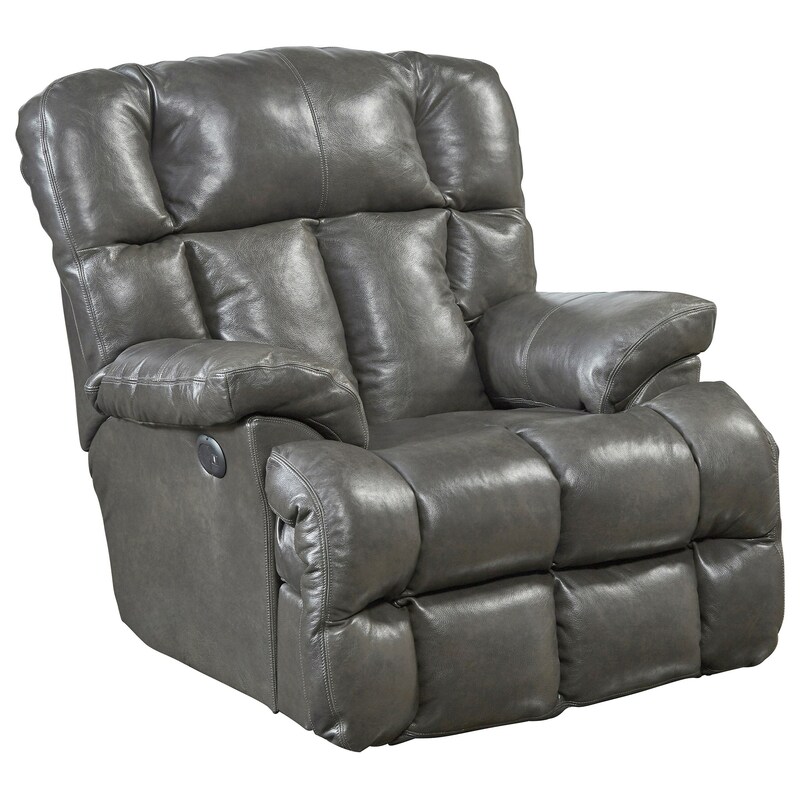 This reclining chair will bring you tons of comfort at an affordable price point. This piece features plush padding across every portion of the chair that you'll come in contact with; from the arm rests to the seat, footrest and headrest. In addition to lay-flat reclining, the chair also has a power mechanism so you can lay back at the touch of a button. The Motion Chairs and Recliners Victor Power Lay-Flat Recliner by Catnapper at Zak's Home in the Tri-Cities, Johnson City, Tennessee area. Product availability may vary. Contact us for the most current availability on this product.